Be more relaxed while flying. A team of professional instructors. K2 is a paragliding school situated in Doussard and Montmin. We offer flights next to Lake Annecy, a world-renowned site that offers an incredible view on the mountains and the lake. 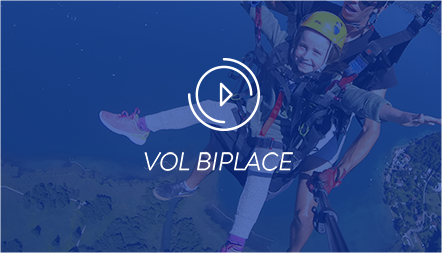 Created in 2005 by Maxence Jorcin and Christophe Waller, the K2 Parapente school first specialises in piloting and SIV (Simulation of flying incidents) courses, willing to share their knowledge and mostly their passion. The K2 school is qualified by the FFVL (French Free Flight federation). 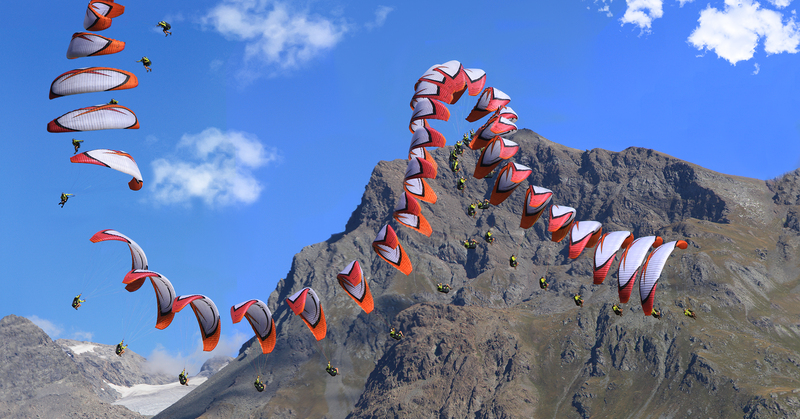 They quickly build a strong reputation in the expert paragliding world by offering high level piloting courses. K2 also offers tandem flights and thermic courses for those who want to discover the unique feeling of flying. 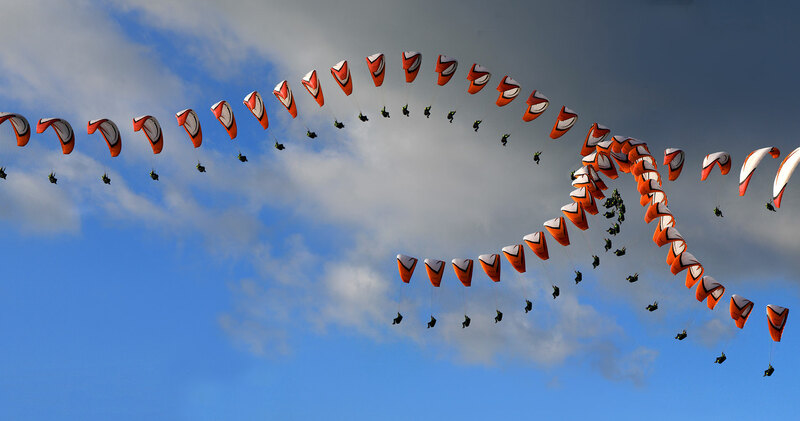 The whole team got a professional training in acrobatic flying and the school with its nationwide reputation, continues to train a lot of paragliding instructors coming from all over France. We put at your disposal our passion and teaching skills to make your flight from the Col de la Forclaz unique, completely secure and most of all… unforgettable. Our goal? Making you want to experience other flights and maybe even fly alone one day ! 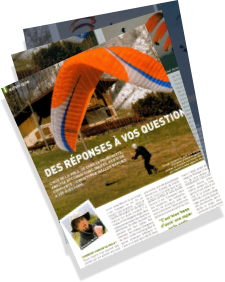 Want to know more about your paragliding flight in Annecy? On our site you can directly book a course, have a look at our theoretical lessons, offer or book a tandem flight to discover paragliding. Whether you want to learn or simply improve your piloting skills, the K2 school offers the best teaching support whatever your flying level. You can book your flight directly on our site or order a gift voucher to offer to your friends and family. Our staff is at your disposal to answer any questions you might have and prepare your flight in the best conditions. 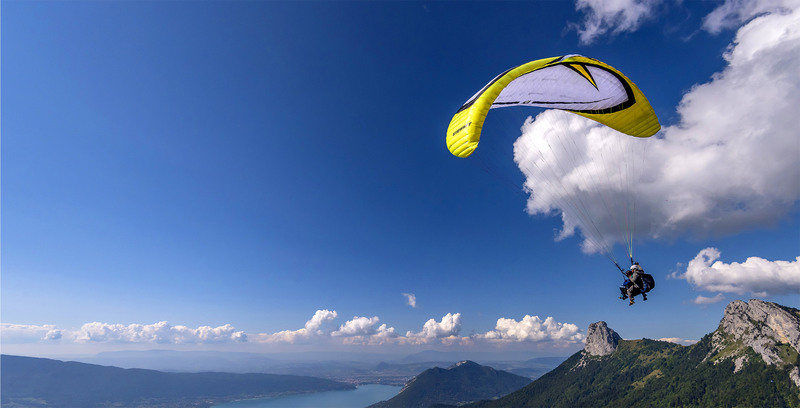 Paragliding stay in Annecy : K2 Parapente has put together for you a list of the nicest accomodations close to the school so that you can fully enjoy your paragliding stay in Annecy. Take a look at the accomodations in Doussard, Montmin or Talloires. Talking about uson the social networks!